One of former Defense Secretary Jim Mattis’ top aides is planning a tell-all book on the well-known military leader’s time in President Donald Trump’s administration, promising revelations that may “alarm” readers. 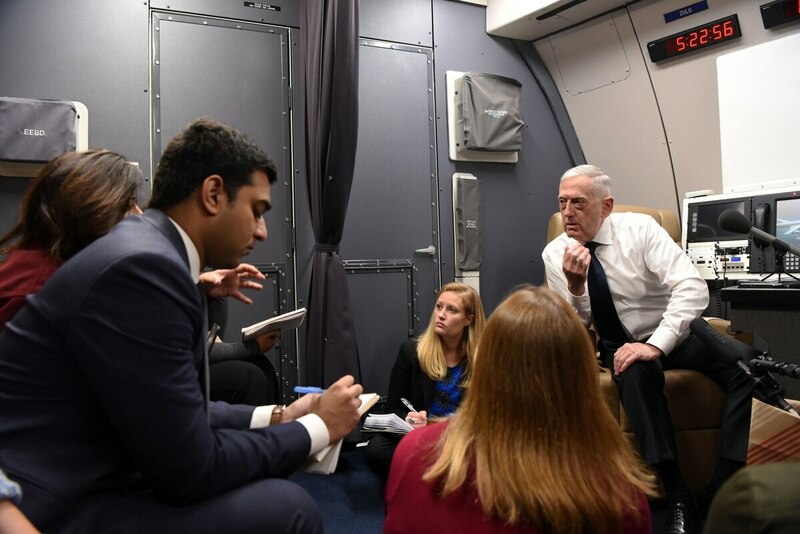 The effort, first reported by NBC News on Tuesday, will be authored by former Mattis speechwriter Guy Snodgrass and titled “Holding the Line: Inside Trump’s Pentagon With General Mattis.” It is scheduled for publication this fall. In a release from the publishing company Sentinel, Snodgrass said he took on the project to give a more accurate view of what Mattis did for the administration and how it affected the military. Defense Secretary Jim Mattis will retire "with distinction," President Trump tweeted Thursday. Mattis, a former Marine Corps general who had strong support among lawmakers and a cult-like following among service members, announced his resignation from the defense secretary post in December, citing policy conflicts with the president. He planned to stay on the job for a two-month transition period following his announcement, but was forced out of office on Jan. 1 by Trump. Since then Trump has made several public statements questioning Mattis’ leadership and expressing dissatisfaction with his time in the Cabinet. The comments come just two days after the popular former Marine Corps general was forced out of his Defense Department leadership post. Snodgrass, a retired Navy commander, also served as Mattis’ communications director. He told NBC News that Pentagon officials will review his draft before publication, in keeping with military rules regarding the release of classified or sensitive information. Mattis has not spoken publicly about his fallout with Trump or his departure since leaving the post at the start of the year.